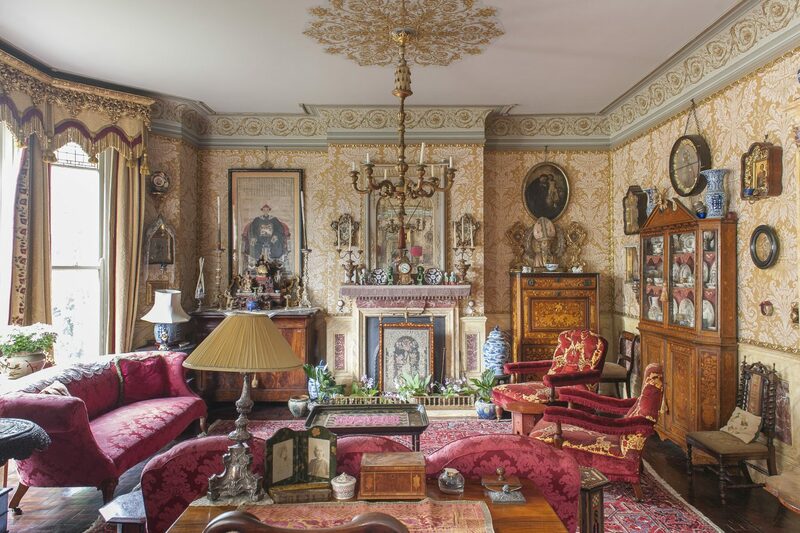 Over time, Paul Oxborrow and Stephen Groves have succeeded in buying each floor of a grand nineteenth century St. Leonards house. 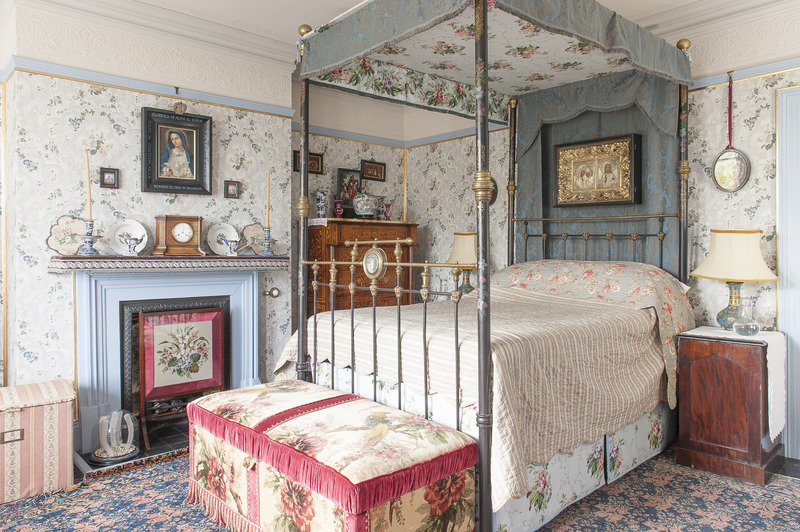 Staying true to the period of its construction, Paul and Stephen have completely refurbished its four floors and now run several rooms of St. Benedict as an unusual and popular bed & breakfast. From the street, every house is a mystery… Even on roads we drive or walk down every day, we have no idea what may lie within the walls we pass. But while that may be an obvious point, it doesn’t prepare you to enter the front door of this particular house in St. Leonards. Although the door itself might have been a bit of a tip off, elegantly furnished as it is with brass fittings, all beautifully polished, and the name plate: St. Benedict. But despite this, when I was first let in through that front door, my jaw practically dislocated in surprise. Had I unwittingly walked through one of those fictional wrinkles in time? The hall I was standing in was clearly from another era, every detail in perfect keeping with the late 19th century period of the house, from the rich red wallpaper, polished mahogany furniture and Holophane-shade chandelier, to the taxidermy, specimens under glass domes, brass-potted aspidistras and grandfather clock. Taken separately none of those items are rare; indeed they’re particularly widely available in the plethora of excellent antique and junk emporia in St Leonards and neighbouring Hastings. And it wasn’t even the concentration of so many of them together that made such an impression. 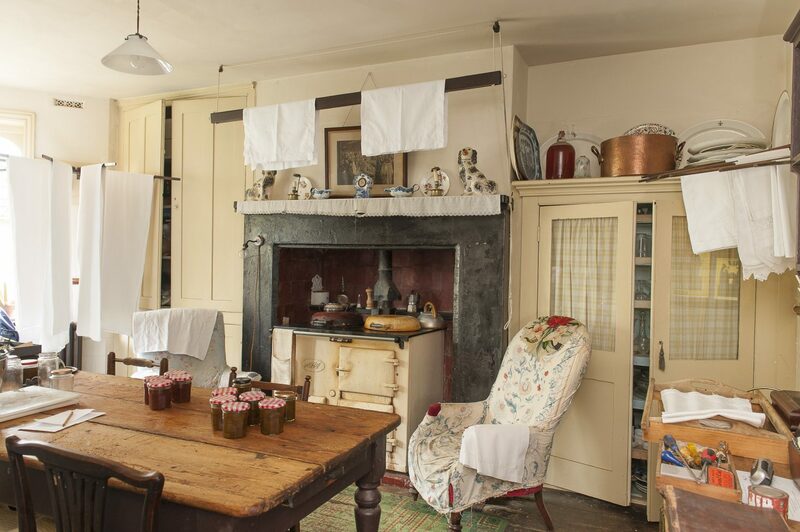 What struck me, as the lady who’d answered the door in a cook’s apron – adding another layer of otherworldliness to the experience – led me through a green baize door (complete with brass studs) and down to the kitchen, was that there were no visible signs of any other century. 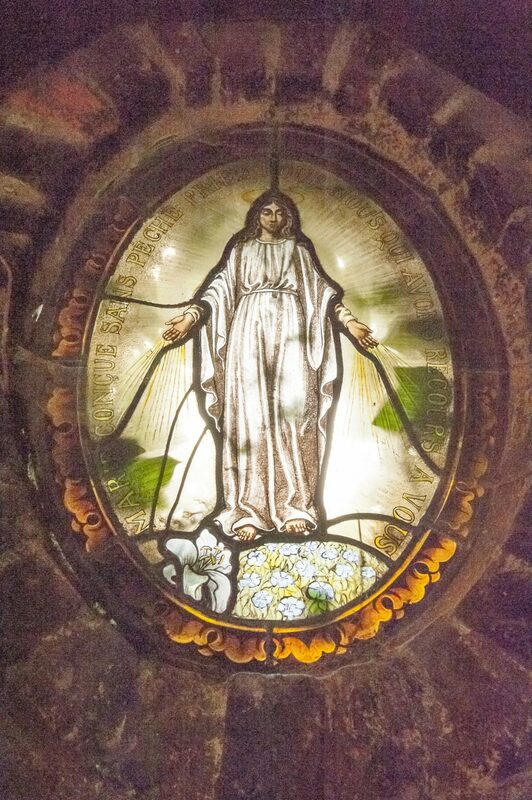 It felt as though the clock had stopped at midnight on December 31st 1899. This impression heightened as we passed a dumb waiter and a board of servants’ bells in a flagged hallway, patchworked with old Persian rugs, and went into the large kitchen, where ironed cotton sheets hung on wooden hoist and spindle airers and the cook’s labours were apparent on a scrubbed deal kitchen table. When one of the house’s owners, Paul Oxborrow, appeared in the doorway from the garden I was still lost for words, gazing around at the lace-trimmed cloth atop the mantelpiece – complete with a pair of fine Staffordshire dogs – dressers stocked with blue and white china, copper pots hanging on the walls and two armchairs with cosily worn floral loose covers, either side of the Aga. It was like being in a book by E. Nesbit. 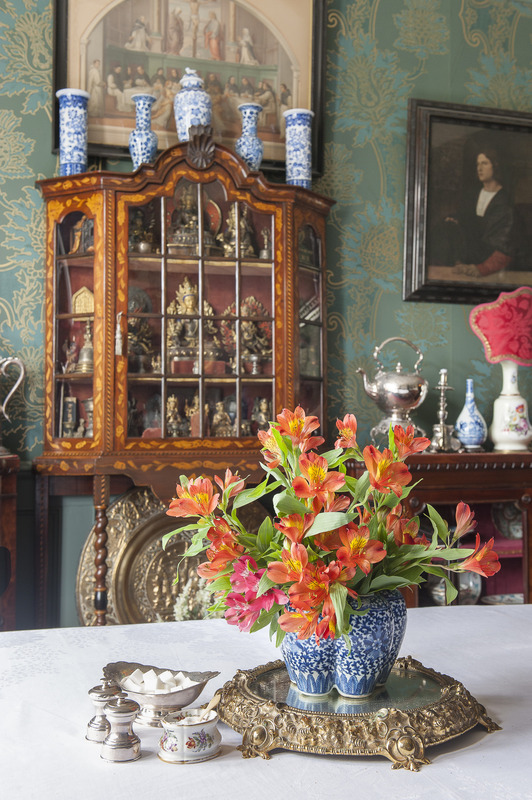 Stocking a tray with a coffee pot and elegant cups and saucers, Paul took me back upstairs to the drawing room, a superb double salon with matching fireplaces at each end, where it would be possible to succumb to the nicest kind of sensory overload, taking in the richness of the furnishings and detail. 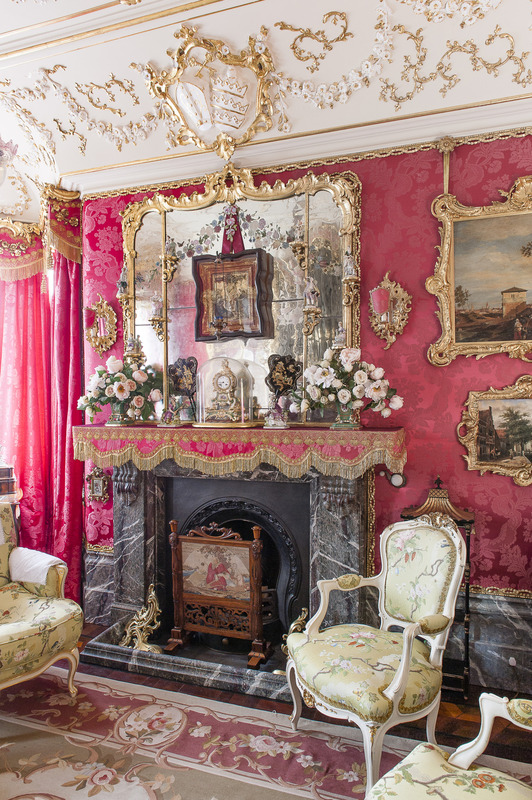 The passementerie alone is dazzling – in a good way – with decorative bullion and tassels hanging from the elaborate pelmets, golden braid along the mantelpiece and a large tassel dangling from the brass chandelier. 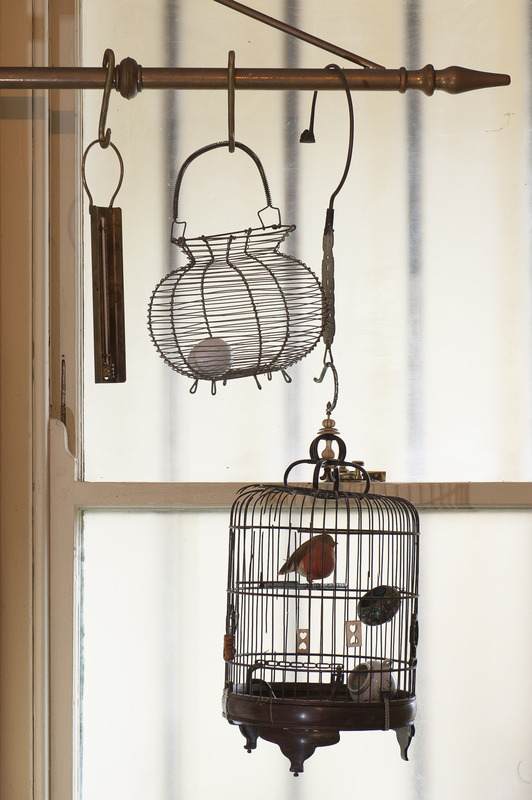 The light over the table in the bay window, which goes up and down on a satisfying pulley system, is trimmed with extra long red silk fringe. The side of the room we were sitting in, Paul explained, was once their sitting room. 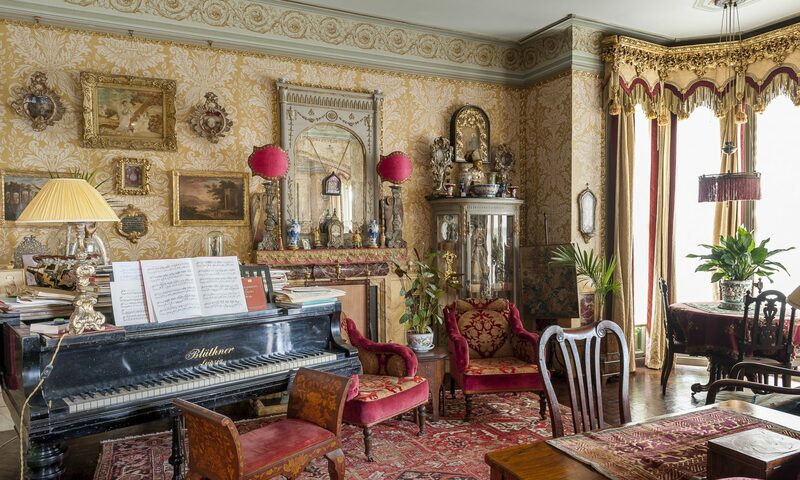 The other half, now resplendent with a grand piano – the house’s co-owner, Stephen Groves, is a pianist and church organist – was their kitchen. But Paul and Stephen didn’t wait until then to start their grand decorating project. 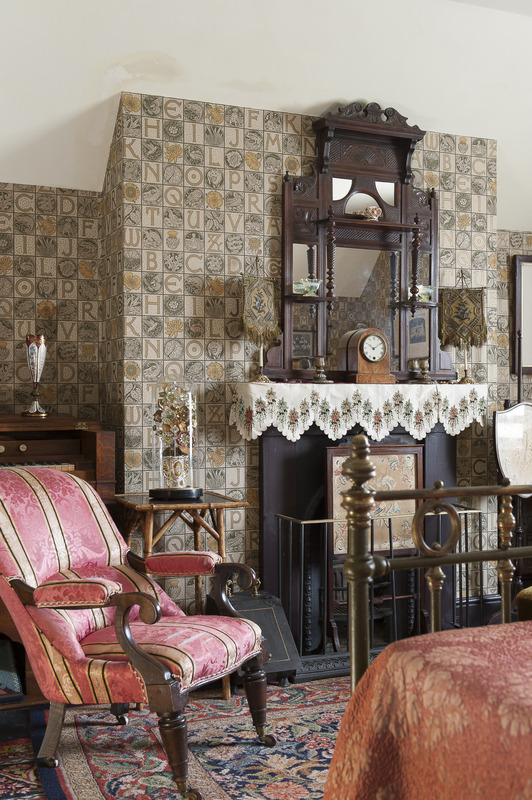 Because of this staggered time frame, the marbling on both fireplaces and on the panelling all round the conjoined rooms, from the skirting boards to the dado rail, was done over the years by three different sets of craftspeople. It looks seamless. Adding the final touch to unify the two spaces, they commissioned the woodworker who has done all the work in the house to match the gold-leafed mirror they had over the original fireplace, so now the two sides of the room are perfectly symmetrical, right down to the two delicate Chinese blue and white tea bowls balanced on the top sides of each mirror. 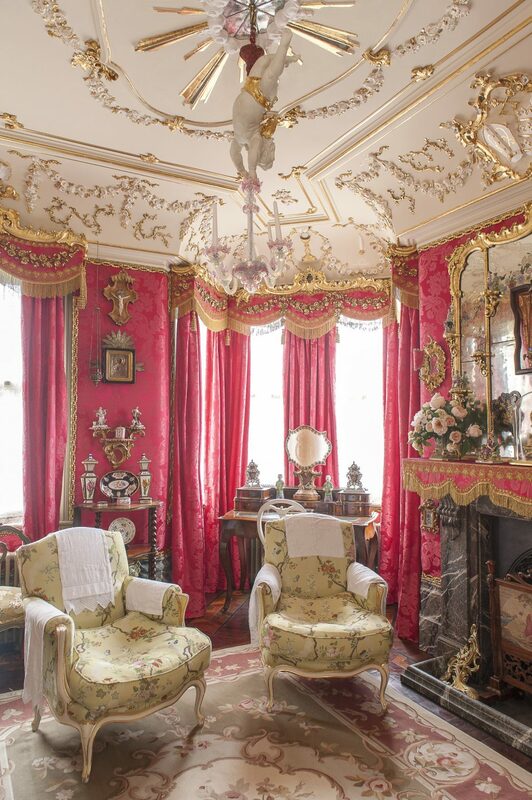 Sitting back in one of the red damask-covered sofas and taking it all in, my eyes skipping from ginger jar, to ornate clock, Chinese figurines, pot pourri bowls, carved mirrors, religious statuary, marquetry boxes, porcelain vases and much more, in clumps, clusters and serried rows on every surface in the room – many of them apparently created for the purpose, such as the decorative shelf over the door – one word comes into my mind: dust. Paul smiles. “There is a lot of upkeep. When the house was built there would have been a live-in cook/ housekeeper, a housemaid and probably a gardener. Downstairs is a room which would have been the housekeeper’s room. We do it ourselves, but it’s worth it. “We decided we would decorate the house in period, because it’s what we like and it’s also possible to do, because the furniture is still readily available. 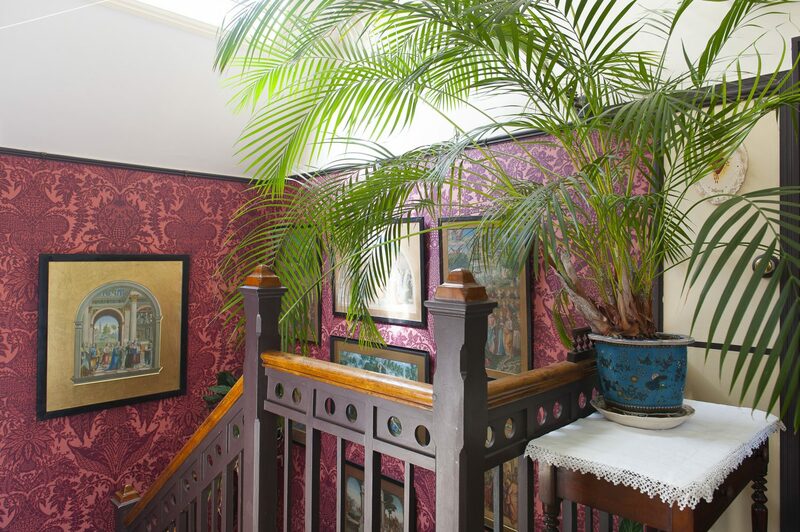 We focused on the 1880s and 90s period, but it’s pretty eclectic, because lots of the world had been discovered by then and more exotic styles adopted. But shopping for bibelots and decorative trims is just the garnish on top of the amount of serious structural work Paul and Stephen have put into St. Benedict since they took over the whole place. 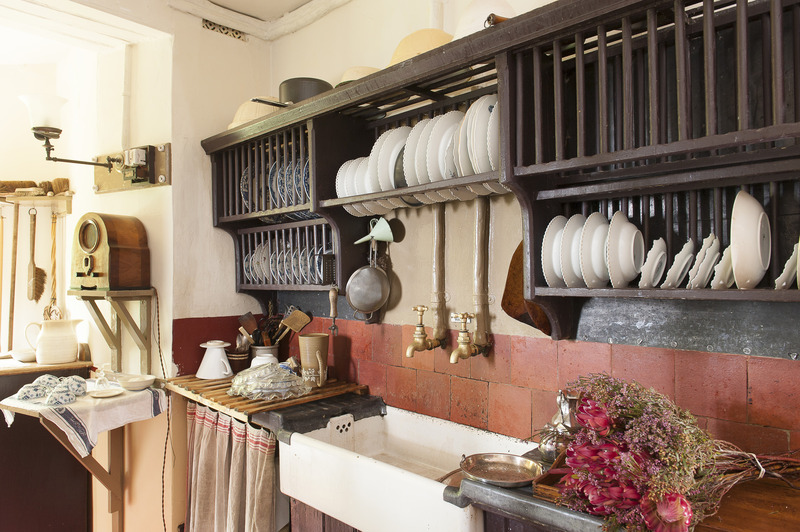 On the kitchen floor they’ve reinstated the larder, scullery and pantry, as shown on the original house plans – which they obtained from the County Records Office in Lewes, via Hastings Museum – complete with the slate shelves, butler sinks and wooden plate-drying racks which would have been there. 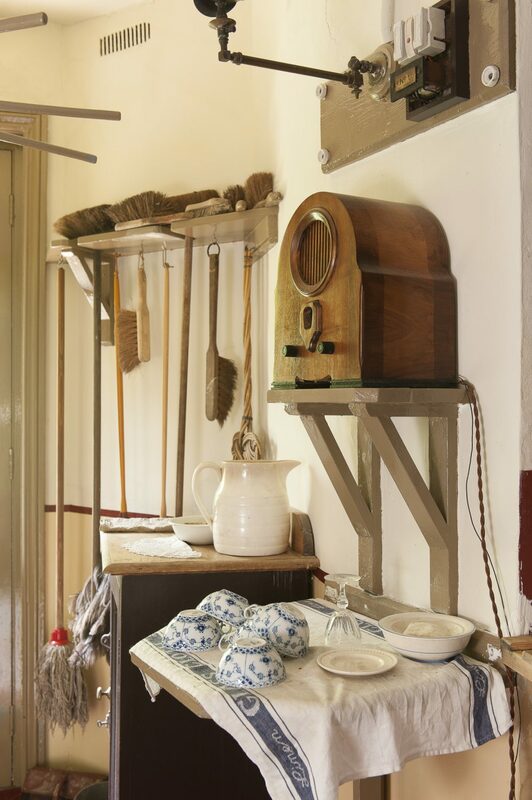 It’s wonderfully atmospheric, with the walls in this ‘service’ area painted in traditional two shades of pale custard-coloured distemper, with a gloss dark brown stripe at dado rail height. 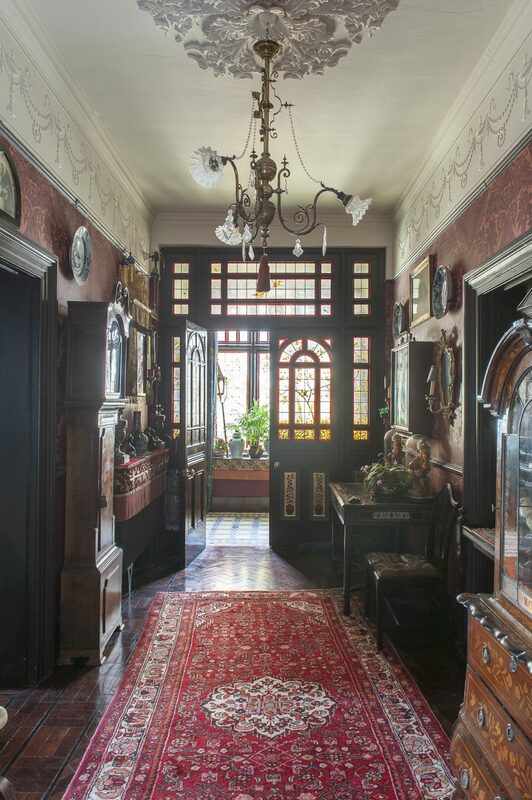 One floor up, on the entry level, they moved the staircase back to its original position, reinstalled the dumb waiter and put in a new entrance vestibule, complete with a tessellated tile floor salvaged from a house in Camberwell and stained glass windows with a lovely bird design. Paul shows me the original window in the adjoining loo – complete with a fine blue and white patterned thunderbox WC – which they found in a reclamation yard and had copied by a glass worker. 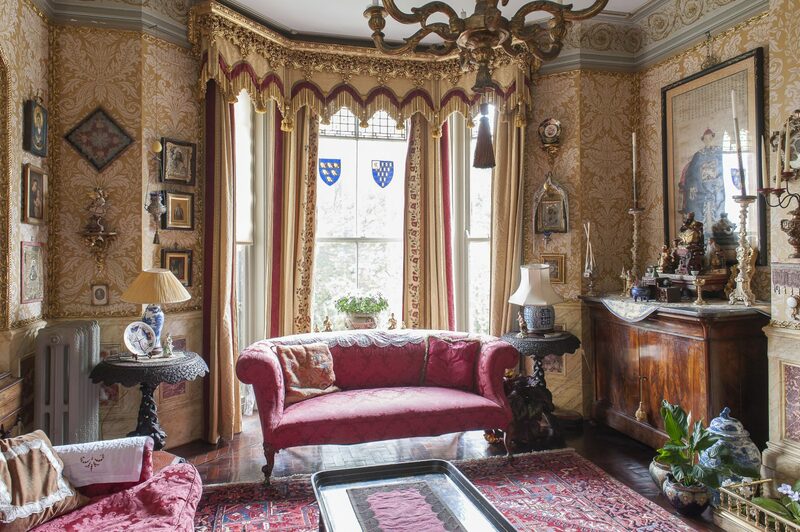 Considering the enormous amount of effort Paul and Stephen have put in, it’s pleasing to know that their magnificent décor can be enjoyed by anyone who cares to visit this wonderful house as a bed and breakfast. One which has fabulous five-star reviews on Trip Advisor. “Guests tend to be people who are enthusiastic about interiors, vintage and traditional styles of buildings and architecture,” says Paul. 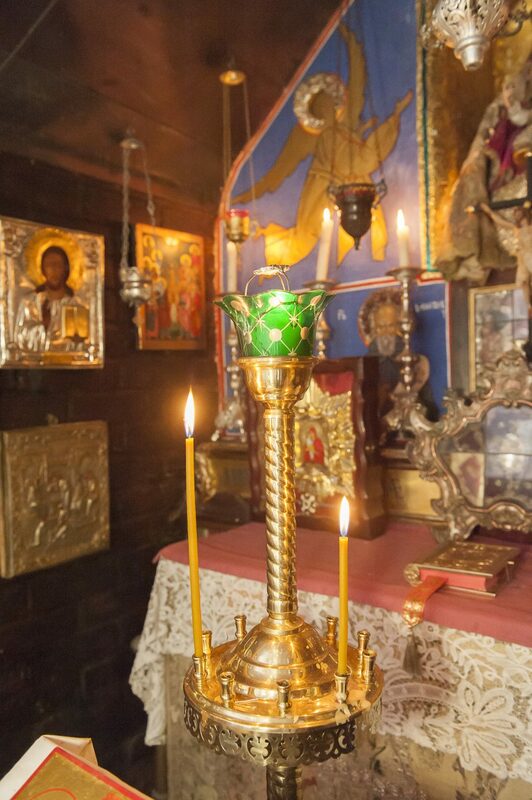 “The décor is the thing which attracts people here. There are lots of pictures of the interior on our website, so it’s clear it’s not a normal hotel and we get a lot of repeat visitors. 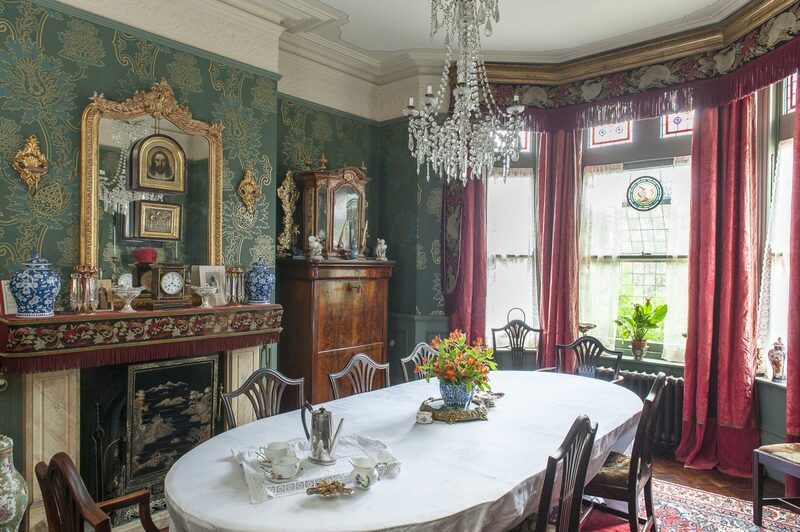 Part of the experience is breakfast in the dining room just across the hall from the drawing room, resplendent with green and gold Watts of Westminster wallpaper and a crystal chandelier, served in silver chafing dishes in the English country house manner. 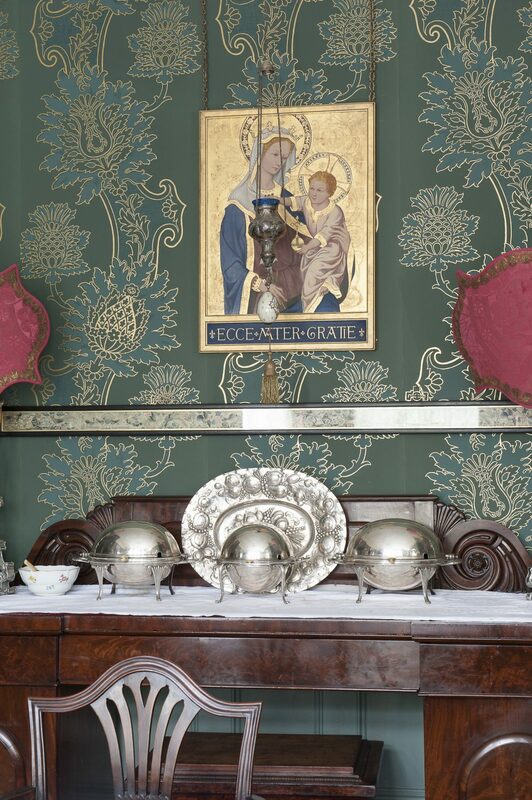 Magnificent period dinners served in this splendid room are another way to experience St. Benedict, with guests often choosing to attend in full Victorian costume. And really, why wouldn’t you? It’s one of these, I discover, that their friend Catherine is preparing in the kitchen, delicious smells floating up the stairs as she rustles up cod mornay, pork cooked in milk in the Italian style and Sussex Pond pudding, made with apples from the fruit pergola in the garden, inspired by one they saw at Bateman’s (Rudyard Kipling’s former home at Etchingham, now owned by the National Trust). 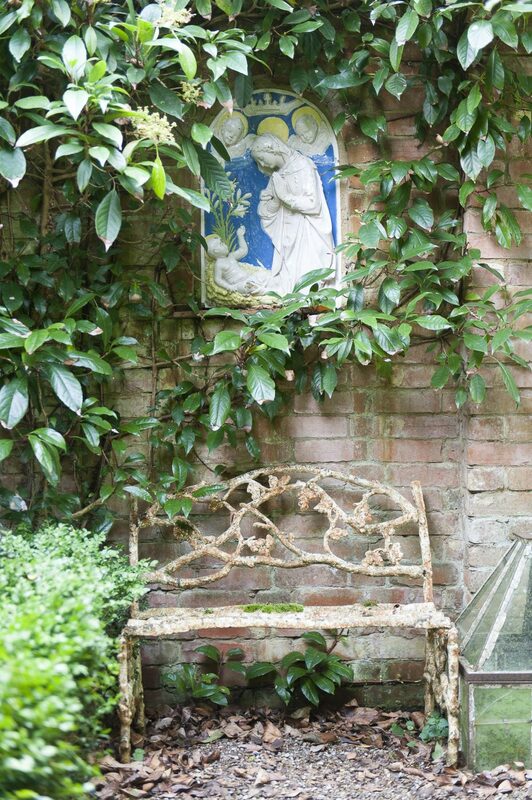 This is just the first of the grands projets Paul and Stephen have created in the garden, enclosed with walls newly built from old bricks, which look as though they have always been there. 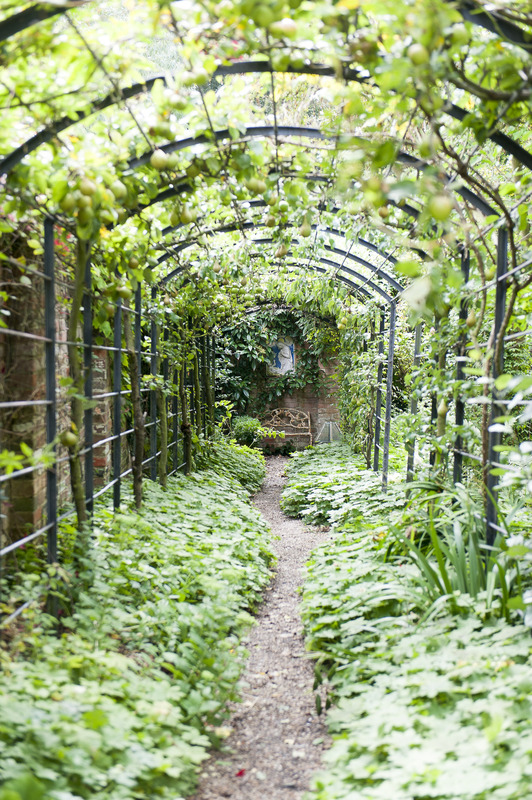 The pergola leads to an area with a large and generously stocked pond, then on to a lawn with borders where two beehives nestle – one of them resplendent with St. Basil’s style onion domes. 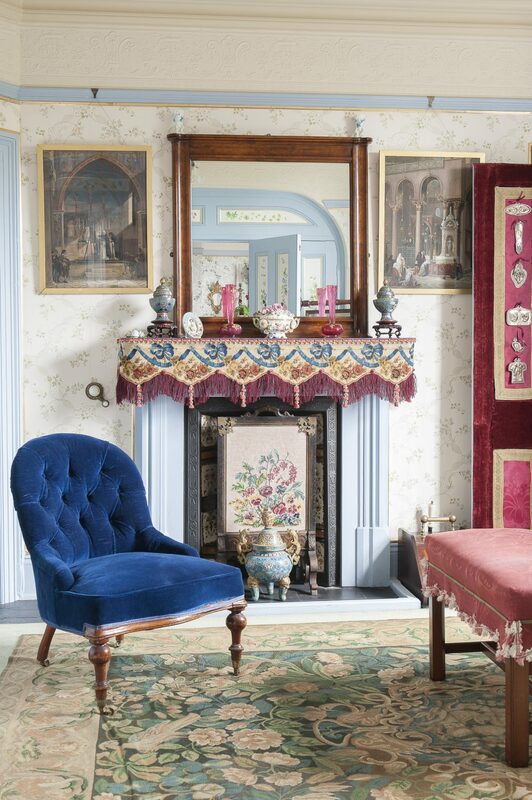 In one corner is an octagonal summerhouse, with a working fireplace. 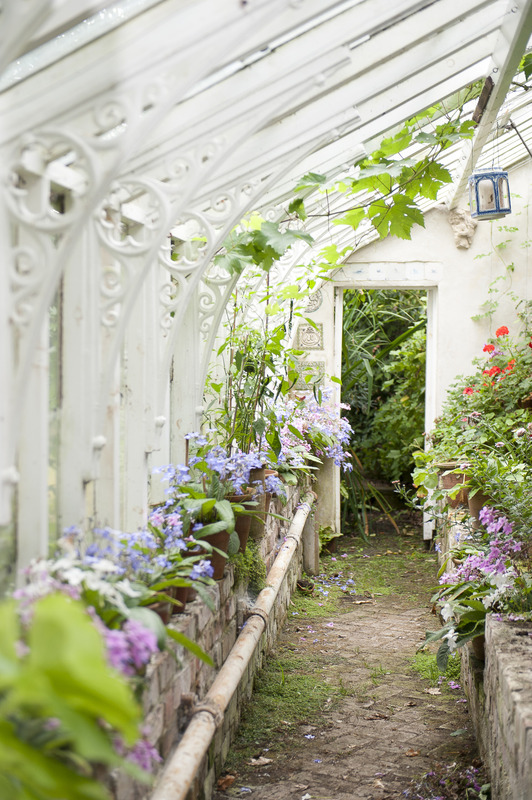 At the end of the garden, on one side is a run for chicken and ducks – providing eggs for breakfasts and baking. 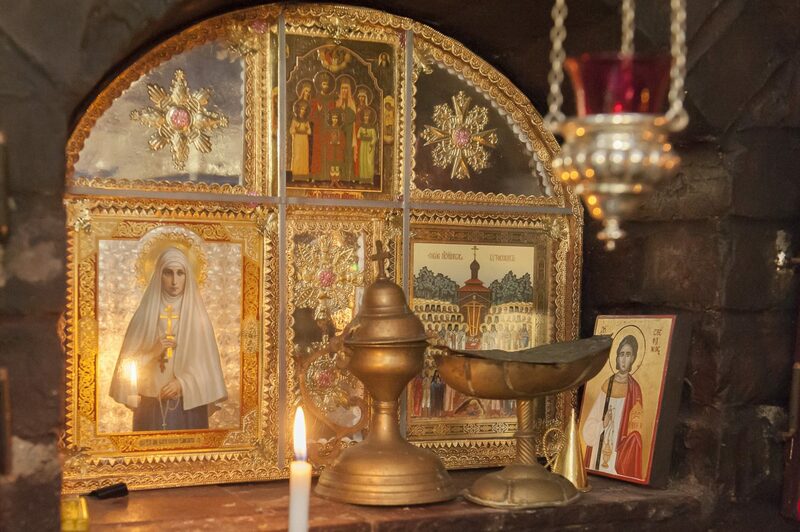 On the other is what is probably the most astonishing space in the whole property: a tiny and exquisite chapel in the Orthodox style, where mass is sometimes said. 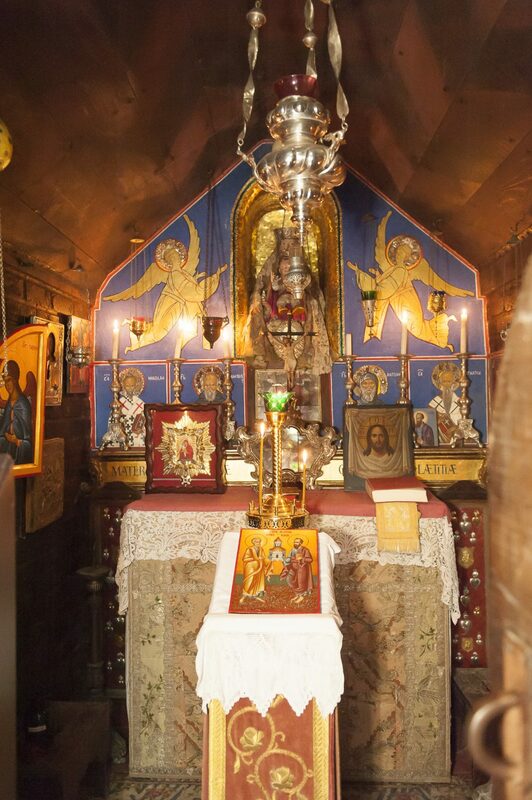 With painted angels on a rich blue ground, a wealth of icons, censers, reliquaries and a central Madonna and Child, it’s so beautiful and surprising, I felt quite overcome. 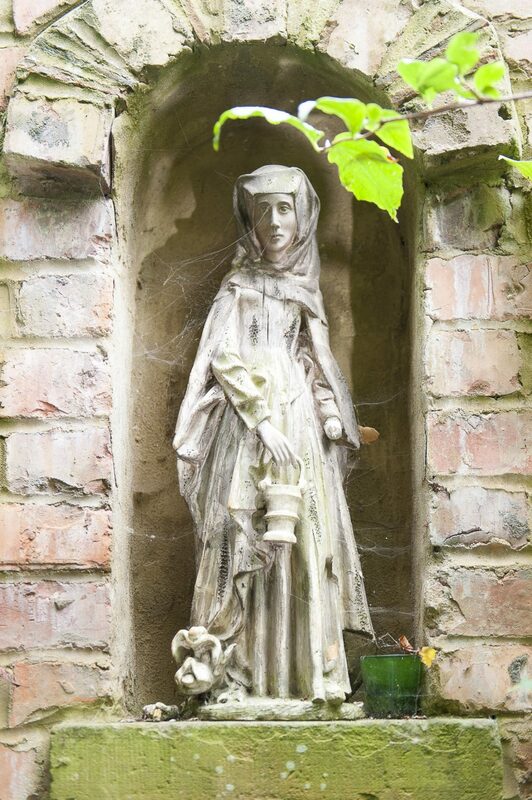 It’s really not what you expect to find where most householders put the compost heap. It took a brisk walk back up to the house to recover myself, via a look at their latest project: a potager they are creating in a neighbouring garden, where they have bought the flat on that level to be an additional holiday let. From there it was up the stairs to see the bedroom floors, as delightful and impressive as the rest of the house, where they have managed to put in enough bathrooms to satisfy the 21st century guest, without compromising the integrity of the house at all. 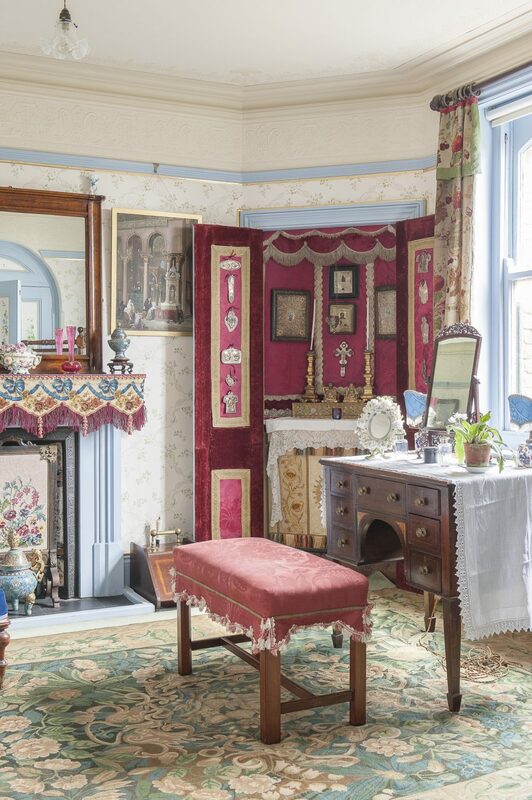 Mr Parry’s Room is the master suite, with an original adjoining dressing room, with a bathroom so cleverly spliced out of the space, it feels as though it was always there. 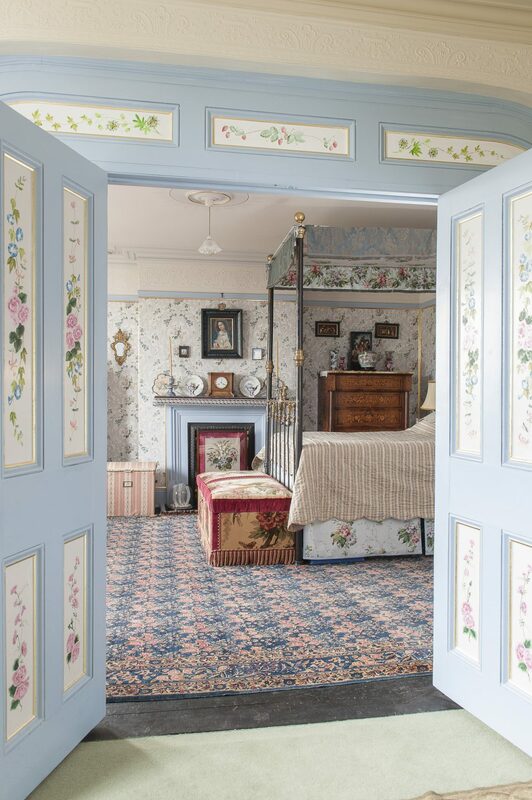 Back in the bedroom, through an elegant arch, is a magnificent four poster bed, lined with the prettiest chintz, from which you could sit and look out at a particularly special sea view – over trees to the mansard roof of one of the Victorian hotels on the St. Leonards seafront, with nothing 20th or 21st century intruding. It’s the kind of frozen-in-time outlook film location finders scour the country for. The bedroom opposite is The Colonel’s Room, after a soldier in the Indian army who lived in the house. 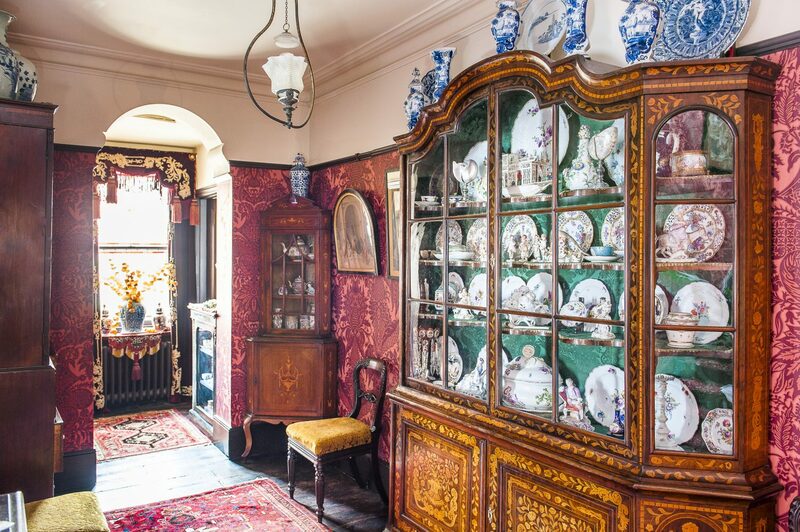 It’s furnished in a suitably masculine style, with a half-tester bed and in-period military knickknacks – and even a photograph of the Colonel himself, which they hunted down. 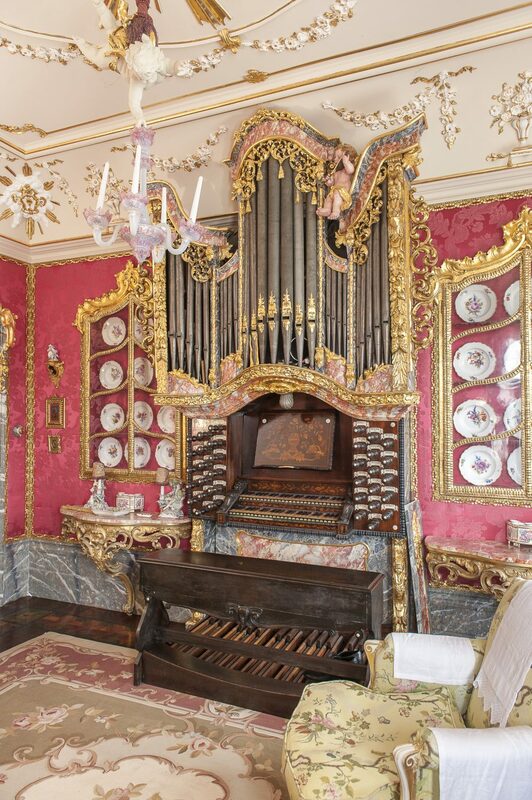 Next door to that is the music room, a rather playful swerve back to 18th century baroque, with fauteuil chairs and a gilded organ of great magnificence, complete with a cherub, where Stephen practises for his church engagements (he plays at St. Pancras in Lewes). There’s a rare glimpse of modern life in here, with a flat screen TV – concealed behind a painting, which is lowered to watch. 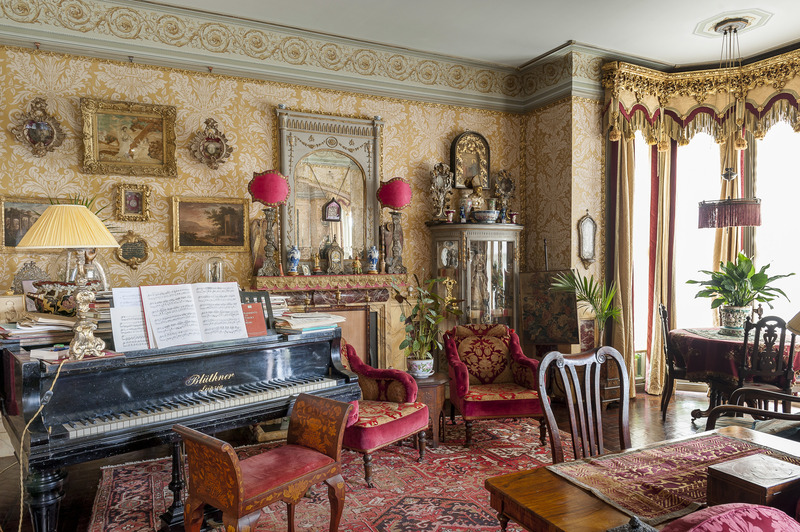 One floor up the grand wallpaper suddenly stops and the walls become the same as the distemper down on the kitchen floor – to denote that this would once have been servants’ quarters. 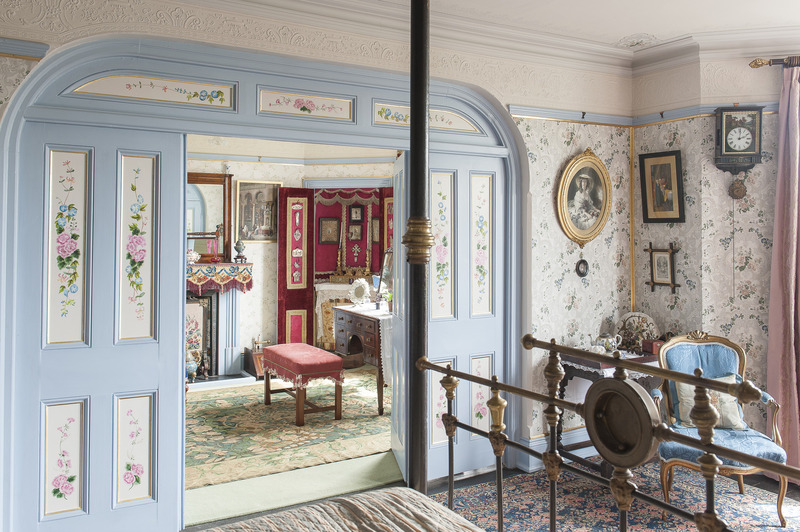 Up here is Nanny Hawkins’ Room (named after the nanny in Brideshead Revisited), a very cosy spot with pretty floral wallpaper, where it would seem obligatory to wear a bed jacket. Also on this floor is The School Room, a twin-bedded room, with alphabet wallpaper, which can be booked for family parties. Between them lie two of my favourite spots in the whole house – two bathrooms it’s hard to believe haven’t always been there, they are so perfectly atmospheric. 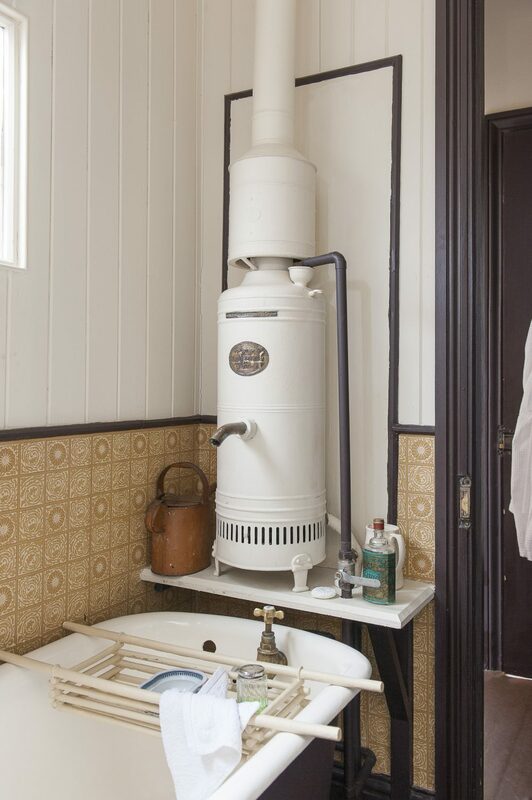 In one of them, there’s a – slightly terrifying looking – old water heater at the head of the bath. 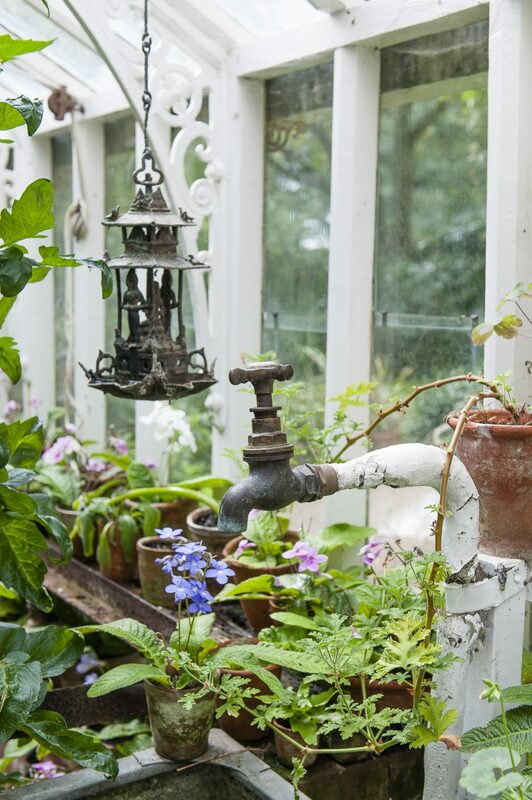 I asked Paul if it still worked, imagining much spluttering and the few drips of brown hot water experienced in the country houses of my childhood, accompanied by booming pipes. 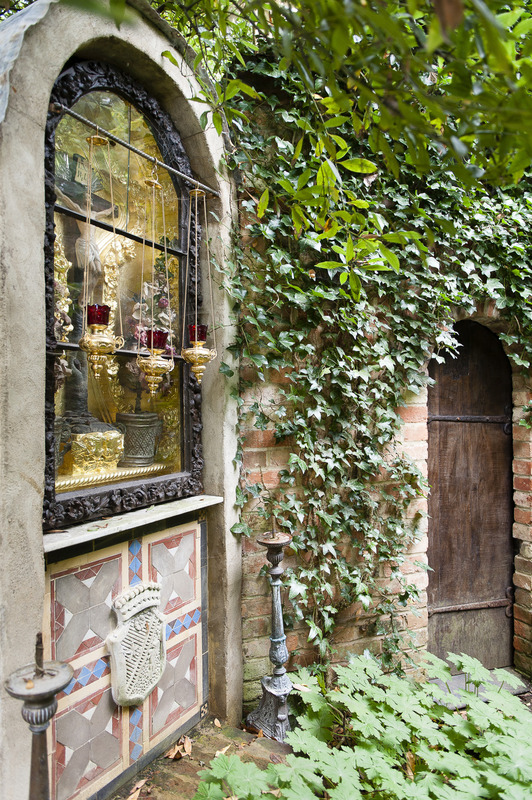 While the grand reception and bedrooms are very splendid, it was these little details in the more humble regions of the house that I found completely captivating and left me quite awestruck as I bade Paul farewell at St. Benedict’s splendid front door. Seeing it again, I thought I’d better check about that shining brass door furniture. Original, of course…? 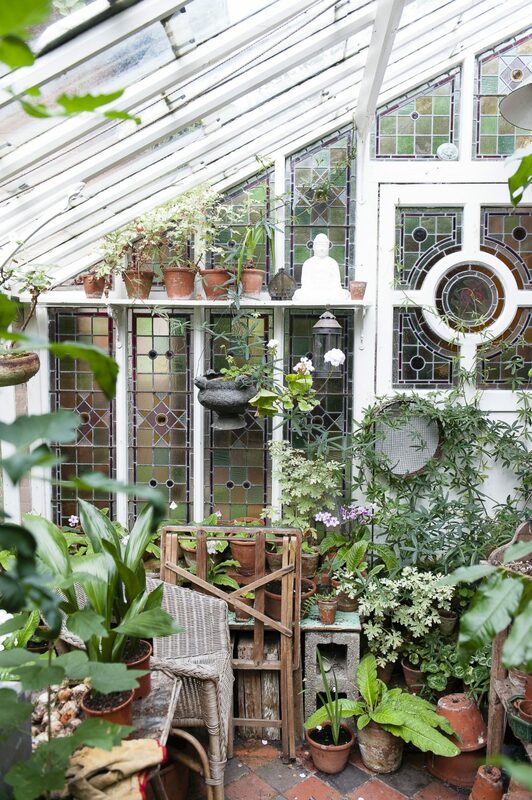 “We found it all in reclamation yards,” he told me.